We are a place of humble beginnings focusing largely on the culture we create and not simply how “state of the art” our facility is. While we do have our share of “art” painted on the walls, we are most proud of the 1,000 of lives we are changing each day with our friendly neighborhood gym and our growing online community. Over 3000 sq ft of indoor and 12,000 sf outdoor training space. Over 14,000 lbs of free weights. Several high quality adjustable power racks with all racks also having a chin-up bar built in. 4 Olympic lifting platforms with so many types of incline, decline and specialty benches. A wide variety of bands, chains, and weight releasers for accommodating resistance. Sturdy variety of plyo boxes for plyometrics, stepups, box squats, and whatever else you want to use them for. 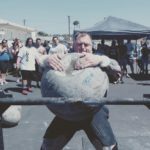 Kettlebells, sandbags, natural logs, kegs, wall balls, medicine balls, and a vast array of exclusive, specialized equipment designed to produce athletic results. Dumbbells in 5 pound increments all the way to 150’s. Cable machines for pull-downs, rowing, and a double cable stack for whatever. 100’s of feet of wall space for dynamic medicine ball and other power work. 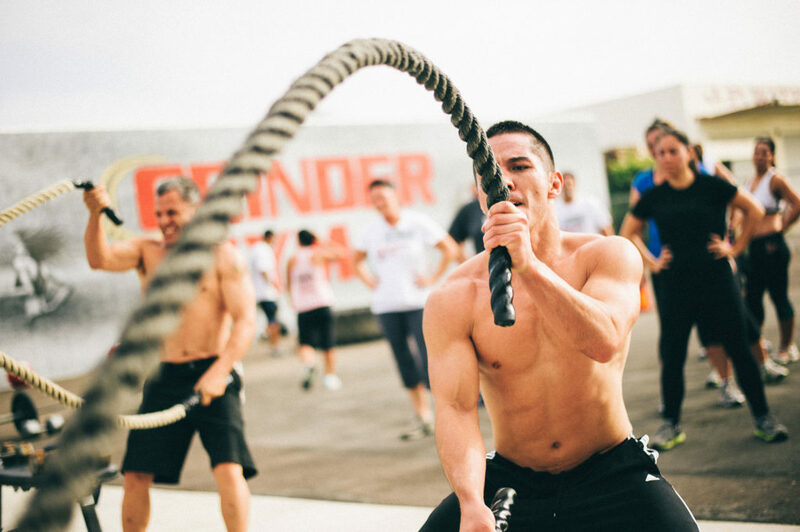 50 meter outdoor private lot for tire flips, sled drags, farmer walks, yoke walks, or running. Foam rollers, exercise mats, jump ropes and nylon straps for certain stretching. Jump ropes, punching bags, and a variety of pads. 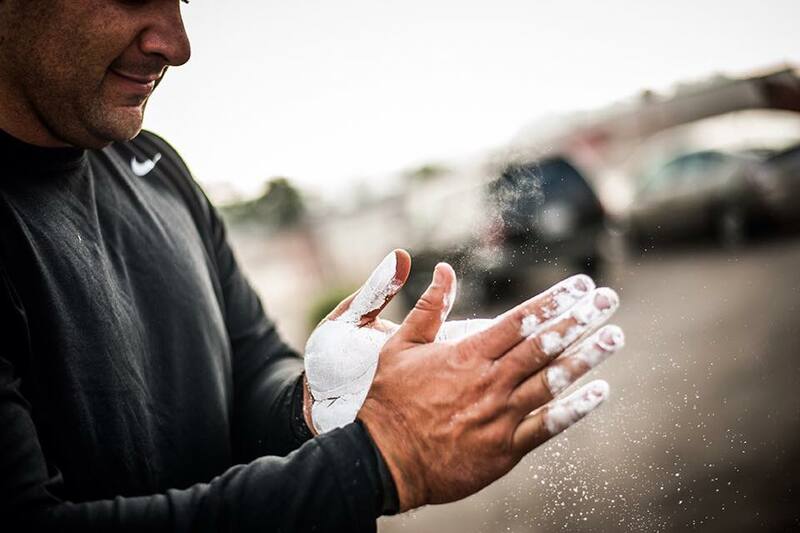 We are always cleaning up, but we also train hard and make a big mess with chalk. If you are looking for everything to match, look new and pristine… this place IS NOT that. 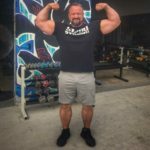 Grinder Gym is however a very motivating environment with an extremely friendly and energizing team. We are a training gym and getting results for our members is our main focus. 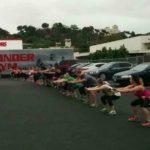 Unlimited Large Group Training Classes. 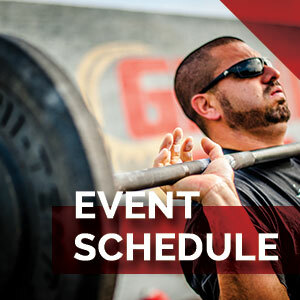 Choose from a variety of Large Group Training sessions offered. 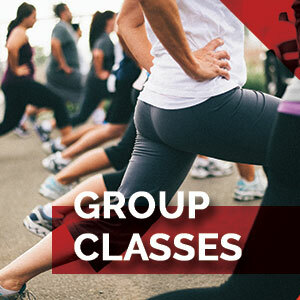 Large group classes are limited to 12 people per class. New classes every month. Here are some of our most popular: Core & Cardio, Cross Training, Kettlebell, Body Sculpting, and BodyCranks. 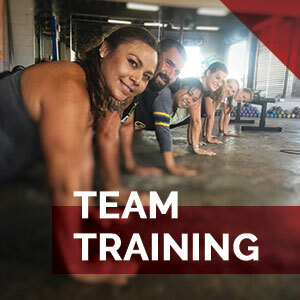 Small Group Training available at a special discount for our members. Monthly Programming available at a special discount for our members. Participation in our Transformation Challenges available at a special discount for our members. Nutrition Plans and Monthly Body Assessments available at a special discount for our members. 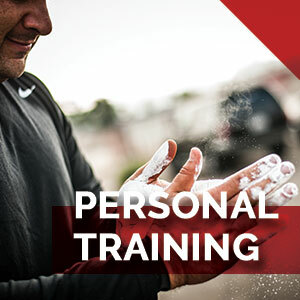 Semi Private and Private Training available at a special discount for our members. Unlimited open gym access to our strength facility during general hours of operation. 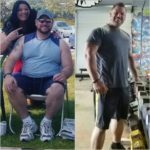 Motivational and inspirational emails from our team of fitness and nutrition experts. Exclusive monthly specials just for members. 2 Small Group or Large Group Training Sessions per month. Access to our strength facility with exclusive strength training equipment during normal business hours. * Discounts available for Military, Law Enforcement, and Firefighters.